Current projects being done by Seniors To The Rescue. donated to animal rescues to use as they deem best for their needs. 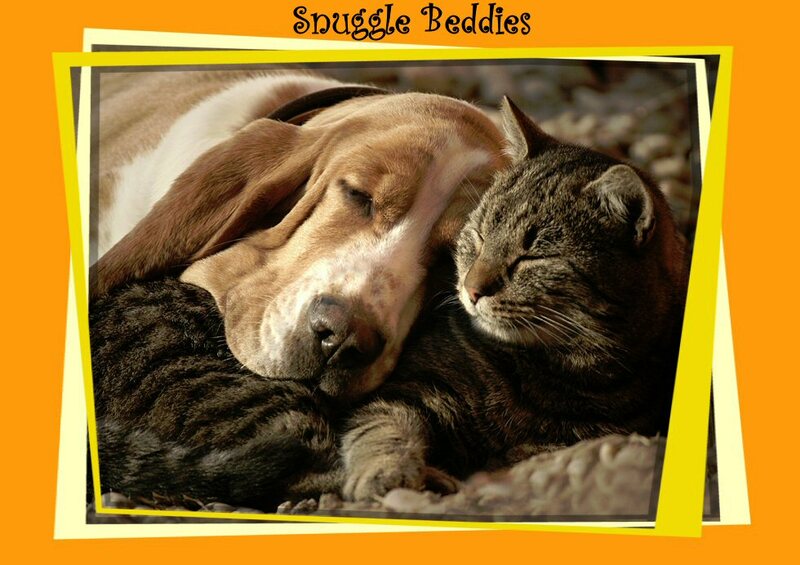 Snuggle Beddies are knotted fleece blankets made by the seniors. 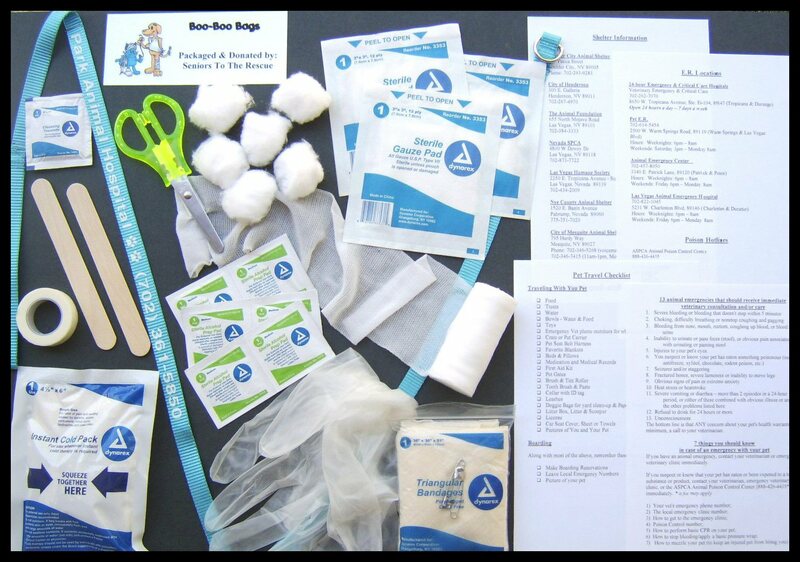 They are donated to animal shelters, rescues and those in need. A soft blanket gives comfort to those waiting for a forever home. 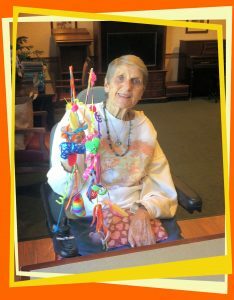 The seniors have a great time getting creative making Kit & Play cat toys. It’s been said that a playful kitty gets noticed. 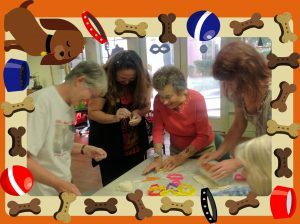 Every puppy likes homemade biscuits and the seniors like baking them. 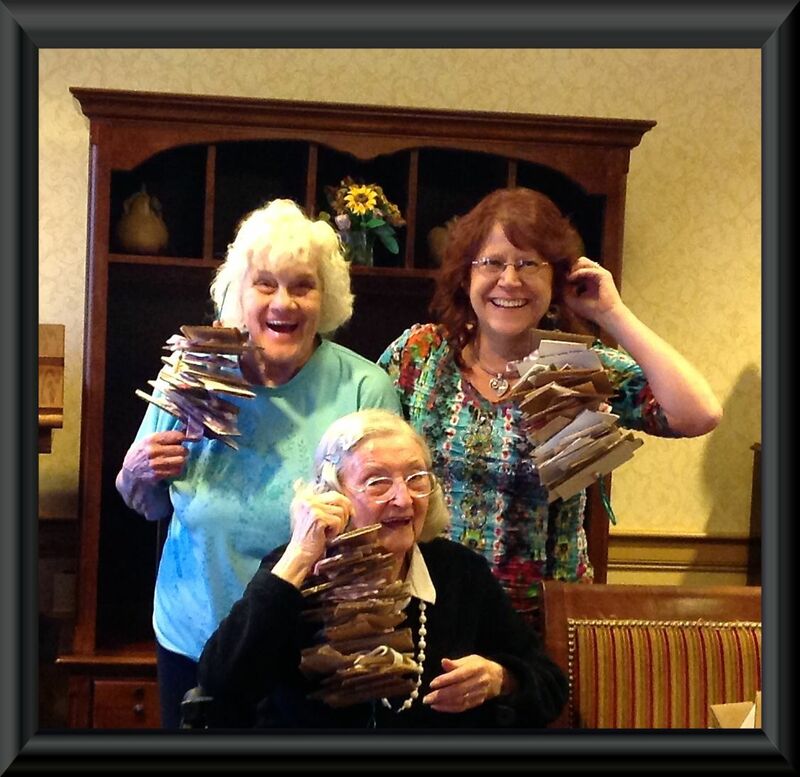 Shirley, Jennie & Gail being silly with the Birdie Buddies they made. Birdie Buddies are pet toys for exotic birds to help relieve stress and plucking. They are made with cardboard, fleece, wooden beads and leather. Each piece is individually cut and hole punched by our volunteers before meeting with the seniors to string. Donations are gladly accepted to help fund our projects. Every dollar makes a difference.